Appropriate for long-lasting walks and outdoor games. Vibram® are leaders in manufacturing of soles and sole materials. Their highly flexible and elastic product provides a surface contact which stimulates the foot receptors and assures proper and healthy foot development. Its softness and elasticity promote a maximal barefoot feeling and the sole acts as a natural shock absorber. Usage: These shoes are suitable for long walks, bike rides, indoor and outdoor games and activities. 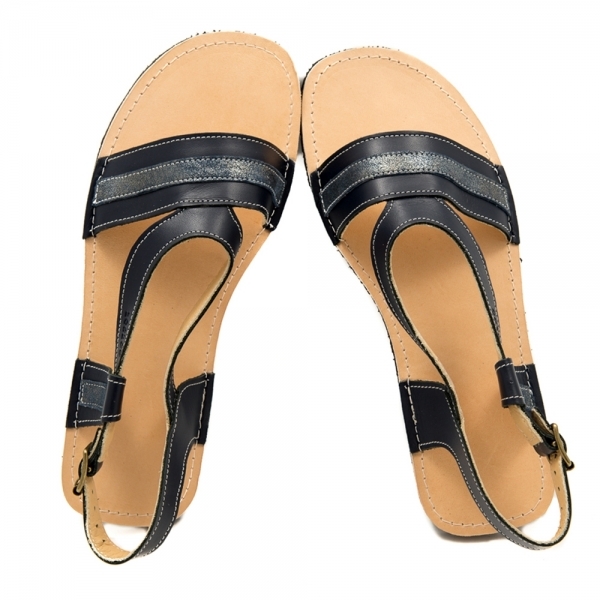 They are made of 100% natural leather which provides excellent breathability. Their construction is as lightweight as possible and lacks restrictive and hard elements. The comfortable sole is both flexible and dense enough to compensate for uneven and bumpy surfaces. The foot dimensions are described in the table below. Currently, width customizations are not available for this model.